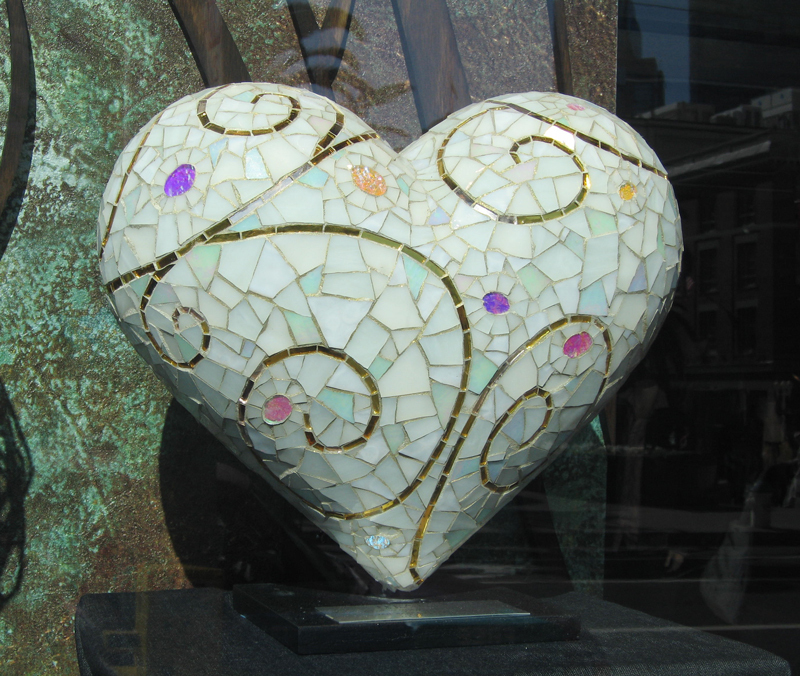 During my two decades teaching mosaic workshops, I have realized that many of my students want to work on sculptural forms, but have trouble finding the the forms to work on. 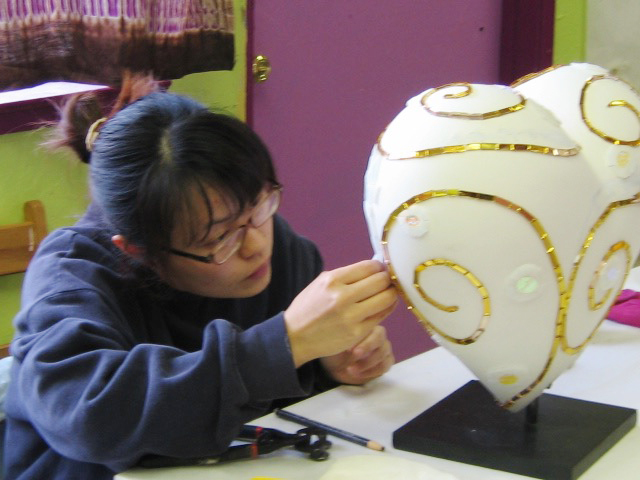 Many are not interested in spending the time or money required to create their own forms. I get it! There is something about a finished, curvy, smooth form that is very attractive. I love working on these kinds of sculptural forms, but I do not love making them. I want to do the mosaic part! If I have a form already made, ready to go and my materials around me, my inspiration and creative fire are not held up…I can just go for it, immersing myself in the making. This is what inspired me to work with a sculptor to create a custom line of pre-made forms for mosaic, launching Inspired Forms: Sculptural forms ready to mosaic — no mess, no fuss. Professionally finished with attached, custom stand. For indoor or outdoor display. Inspired Forms are created using a proprietary method in limited runs. We accept pre-orders for specific production runs, which are ready to ship in 4-6 weeks from time production starts. 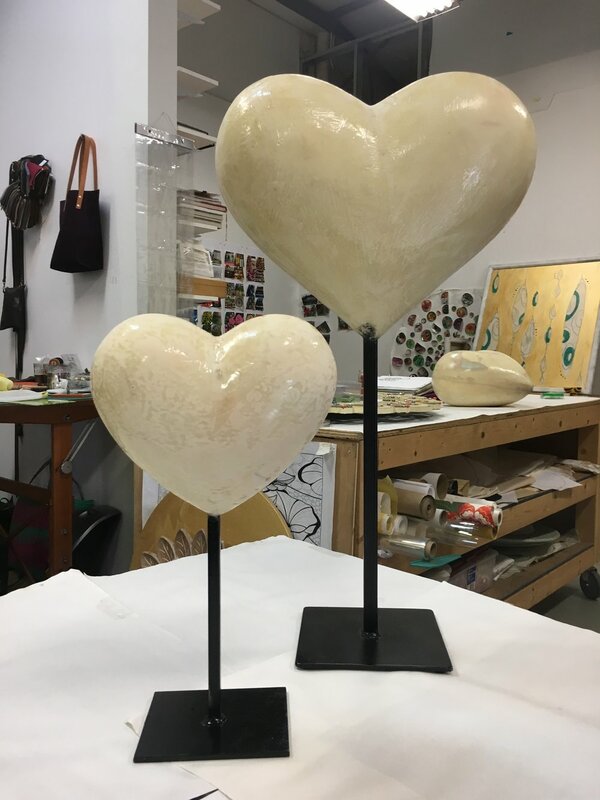 If the “purchase” buttons do not appear below, please send us an email and let us know you are interested in purchasing a heart in the next production run and we’ll let you know when the next run is scheduled. 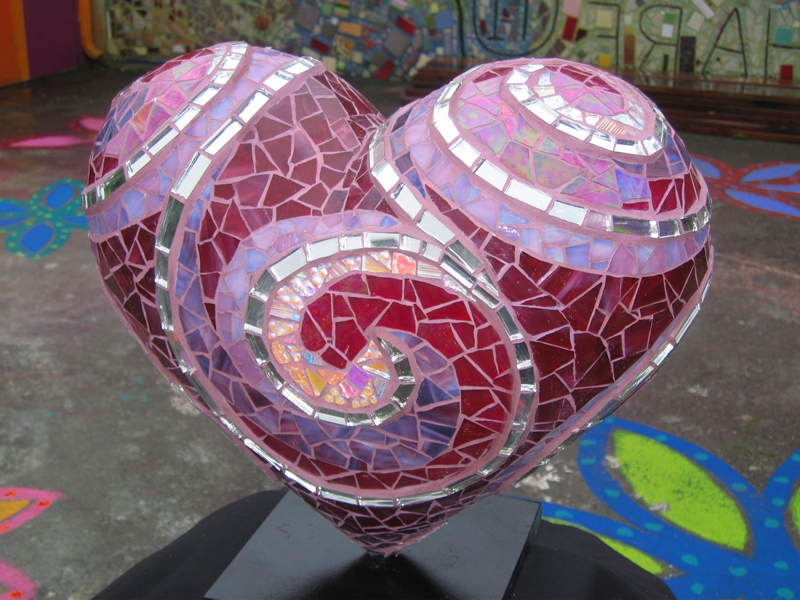 These heart forms are made with loving care. Sold separately to keep the cost of Heart Forms accessible to more people. Shipping costs vary according to location. Hearts ship from New Orleans 70117 zip code. Shipping weight for small heart approx 8#. Packing box for small heart is 22" x 12" x 14"
Please email for mailing address. All confirmed orders: You will receive and email when the run goes into production and when the hearts are shipped, along with a tracking number. Shipping fees can be paid after you receive shipping confirmation and cost of shipping to your destination is known. 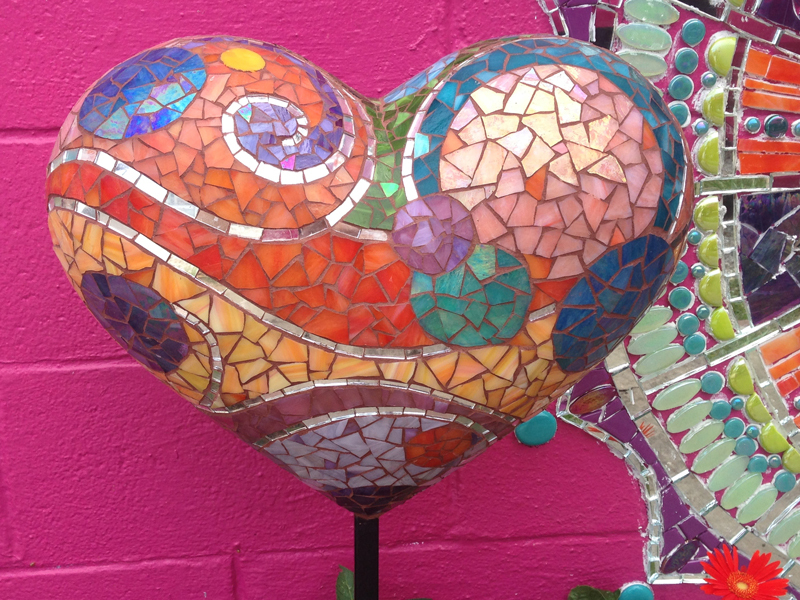 We are currently on hold for production for both sizes of Inspired Forms Hearts. Please go to the contact page and shoot us an email to get on the list for the next run and you will receive a notice when we’re ready to go! Mosaic images are of my personal work, which is copyrighted.